Swiss artists André and Michel Décosterd who make up Cod.Act combine their talents of music composition and architecture in their artistic performance and interactive installations. Their devices translate physical movement into sound. Their Pendulum Choir is probably the most surprising. 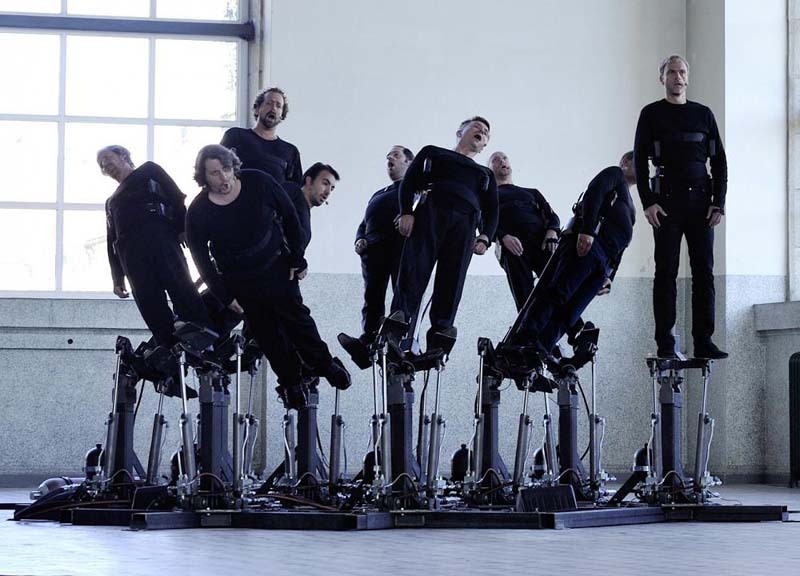 A choir of nine men is harnessed onto hydraulic jacks that react to their voices. 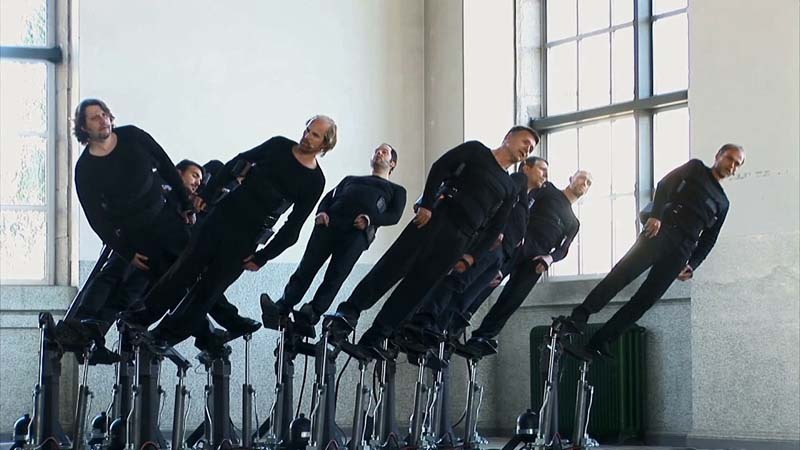 The swinging and rotating singers seem to hang by their toes while leaning at what look to be close to 45-degree angles, coming very close to each other yet designed to never collide. Kind of zany, funny, and at the same time a little creepy. Cod.Act have many other creations including the Cycloid-E—a pendulum of metallic tubes equipped with sound sources and with measuring instruments capable of making them resonate according to their rotations—and the Ex-Pharao, a mechanical apparatus composed of cables and hydraulic levers that allows the visitor to modify an opera by Schoenberg in real time. Much more to see on their site. This entry was posted in Architecture, Art, Interaction Design, Just Plain Cool, Stuff We Like. Bookmark the permalink. fantastica criatividade! pura erudição contemporâneo tecnológico. O máximo! I’m lovin human creativity and madness.